Well, the day has finally arrived. I’m losing my metal work! Which in many ways makes me think that I need to rename the site to something other than TitaniumGeek, and I won’t have an arm full of the shiny stuff anymore. 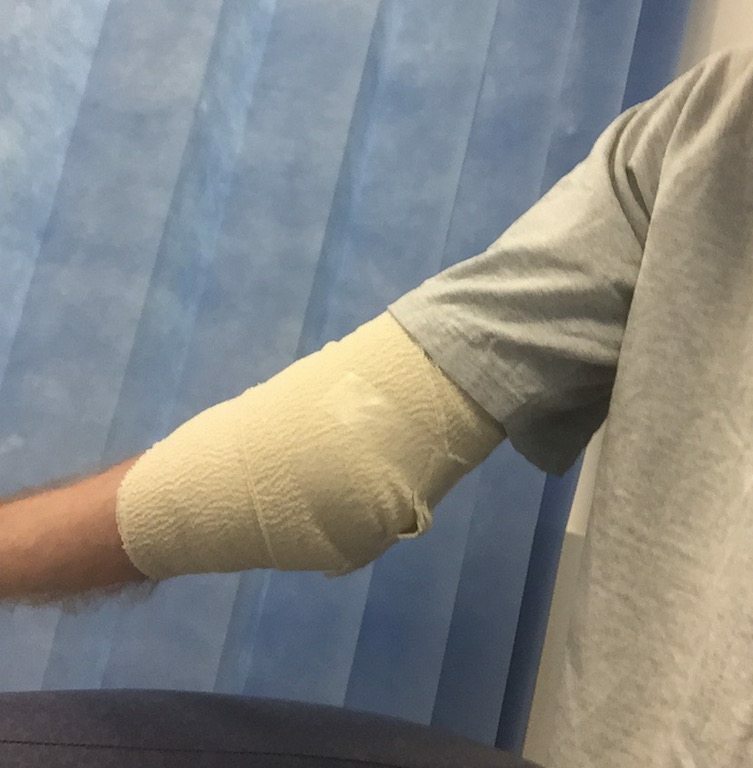 Exactly 6 months to that day from fracturing my elbow, its time to get the metal work out, due to causing so irritation to the skin, and beginning to get in the way of my movement. But even before we can get to the slicing and dicing part – I’ve got to get through the night before the theatre. 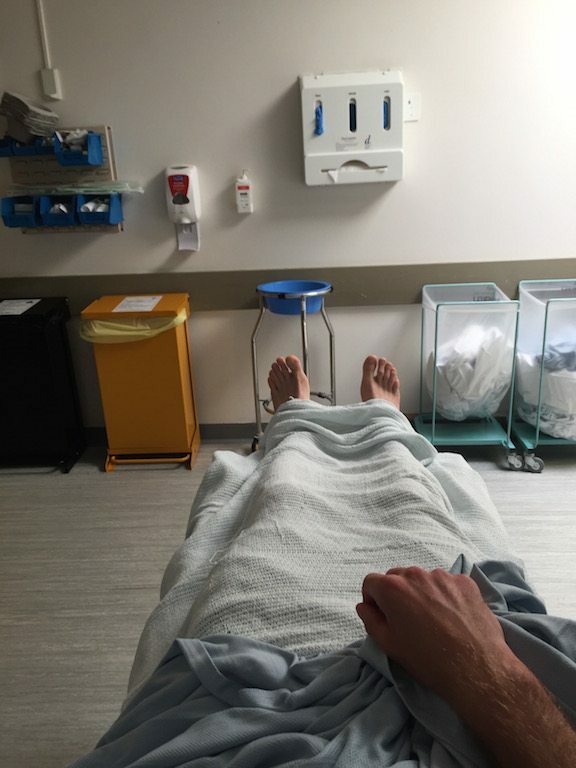 For my own pride as much as anything else, I want to reiterate that I wasn’t even particularly anxious going into the pre-op evening, but the concept of being switched off did keep on bouncing around my head, I think restless is probably a better description of me that evening. Prior to the day of surgery, I’d received a letter asking me to arrive for 7:30 am sharp, which I assumed would mean surgery to start about 8:15 am, recovery for 9:30 am at the latest and home before lunch. I’ve only ever dealt with emergencies and ward-based operations when the planning procedures are different, so this didn’t seem an unreasonable series of assumptions. As you are sitting waiting, you are exposed to all of the sounds of the adjacent ward. Every time the cardiac arrest bell goes off – which is a very frequent occurrence, I still feel that unpleasant squeeze of my adrenals kicking out adrenalin – you never really overcome that reaction. That’s not to say there are lots of cardiac arrests, its merely that the bells, triggers and switches are very sensitive, so its easy to call for help, as a result, 1-2 sec false alarms are VERY common, to the degree you learn to filter them, whilst in the back of your head listening to making sure its not a sustained alarms – those are the ones you worry about! There are many things I miss about hospital medicine, but I’m very happy to be shot of the cardiac arrest bells and belt mounted personal bleeps! Speaking of switching back into the hospital mode – the surgeon on his registrar came round, and I went through all of the consent forms for my operation. I’ve filled in MANY of these forms with patients over the years, so its a little bit surreal to be on the other side of the discussion. Nodding and smiling, agreeing that you take the risk of essentially losing the function of your arm as a potential complication. (Its a theoretical risk for this surgery. I’ve never even heard of it happening in the real world, let alone seen it, but you still have to sign the form). You are then MARKED, to ensure they don’t cut off the wrong arm! By having every patient in the pre-op ward together, allows all of the patients to have the obs checked and prepared before the op. But it does mean quite a wait if you are at the end of the list. Waiting is part of life, but unfortunately, when your last drink was at 5:30 am, and the clock is ticking round to 11:30 am, that waiting gets a little uncomfortable. A trick my grandpa, who served in Africa, taught me was that if you are thirsty, and don’t have much water, still less than a teaspoon of water around your mouth, it moves the saliva and improves the feeling without using any water of note – or in my case swallowing any!! 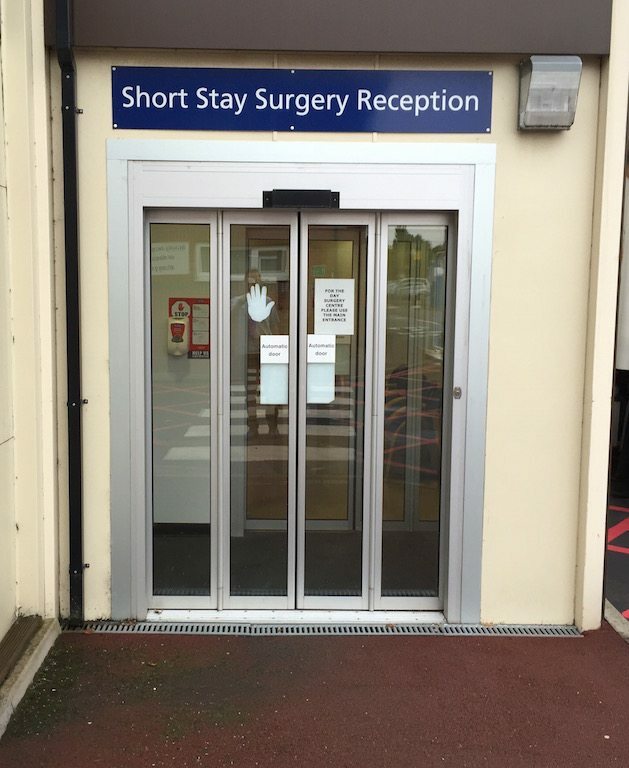 There is a balance to be made about being completely nil by mouth pre-op, its all about making sure your stomach is empty to prevent an aspiration of stomach contents into the lungs during the operation. Even chewing gum within 2 hours pre-surgery is no-no, as this too will activate your gastric juices, but a VERY small, VERY FAST swill and spit, you can just about get away with, but there is still a risk to potentially activate the gastric juices. As is Murphy’s Law, just after I’d swilled my parched mouth, I was told to get changed, as I would be going to theatre shortly. 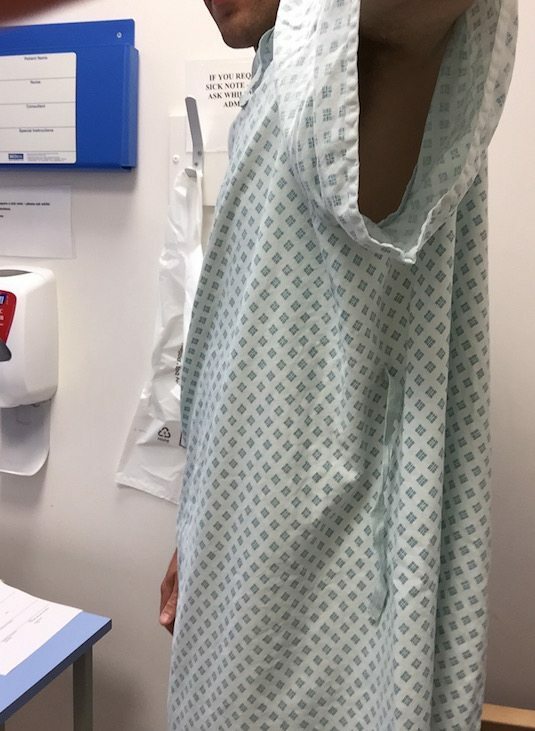 So on with the hospital gown, a little more waiting and it was round to the anaesthetic room. I wasn’t half as nervous this time going into the anaesthetic room. Had a nice chat with the anaesthetist to confirm that I hadn’t developed any new medical problems or allergies in the last 15minutes. A bit of a tick box exercise, but it’s also a degree of distraction whilst the get the cannulae and medications prepared. 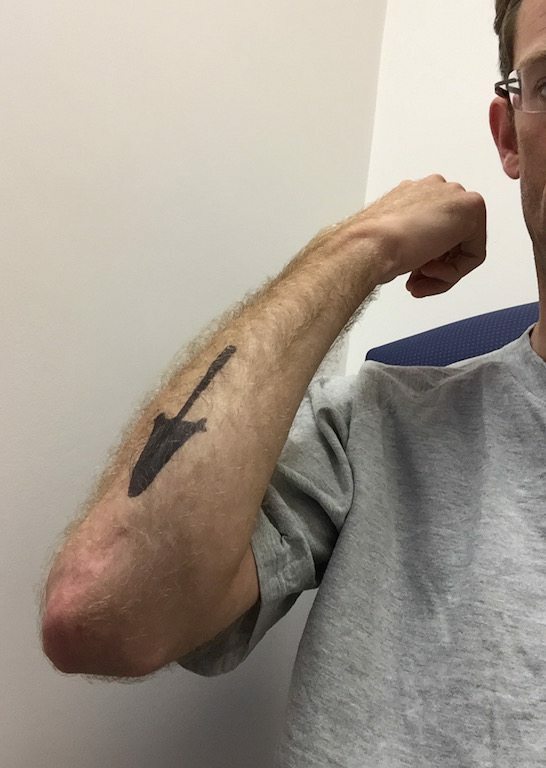 Normally you could hit my veins from across the room with a dart, as they are quite prominent, however with the slight dehydration, they needed a little more looking for – by the anaesthetist still hit home the first time when she went in with the needle – very impressed! The surgeon pops in again, to check any last questions – I’d forgotten previously to ask if I’d need another cast post op – as that would stop me moving completely again until it came off. No I was reassured. A relatively small cut and just heavy bandages – that was a big relief! And NO I wasn’t allowed to keep the metal rods ?. Oddly not due to some health and safety thing in terms of infections etc, but that they could be used as weapons to stab someone… didn’t think of that! Oh well! Finally, the medications went in. Slightly was less fun this time. I don’t know what the first medication was, I think it might have been an anti-sickness drug, as I felt really rather dizzy within a moment or two – my eyes were bouncing left and right, quite vividly to me anyway. About 30 secs more conversation and the anaesthetic went in. Up the arm, slight feeling of cold, before feeling my eyes go heavy and roll back. On the original anaesthetic, feeling the chemicals going round my brain was a real experience, I didn’t have that this time! Coming round really does feel every so slightly like waking up from actual sleep. You are a little groggy, as you come round, but you are somehow aware that you don’t have any control over that ability to come round. Normally when you wake up, you can snap-to if needed, somehow you KNOW this isn’t possible. Thankfully everything returns to normal after about 5-10 mins. I say everything – hand-eye co-ordination remained shot, well more so than usual, for a few more minutes – typing notes was a real issue initially! What are they? – Oh yes I remember FEET! I saw the surgeon again – who explained everything went well! The wound would be reviewed in two weeks. Heavy bandage to remain in place for 72hrs, and then get moving the arm to help get those final few degrees of movement back hopefully. He stressed I was completely and utterly banned from cycling outside for a further 4 weeks, and should ideally avoid running. Mainly because if I trip and fall, my elbow currently has holes in it, just like Swiss cheese. Similarly no heavy lifting, or going to the gym for at least 4 weeks, 8 would be better still. Thankfully I’m allowed to go with the turbo trainer and Zwift! 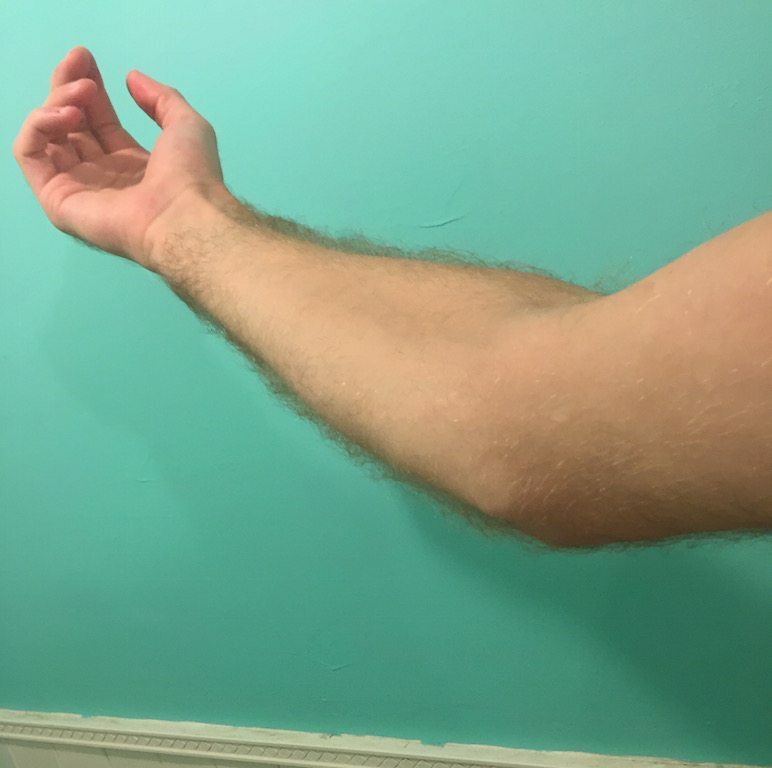 Compared to immediately before the operation, even through the thick bandages it feels as though I can straighten the arm better than before! There is no pain or strange “stop” as the metal hits the muscle and bone now. 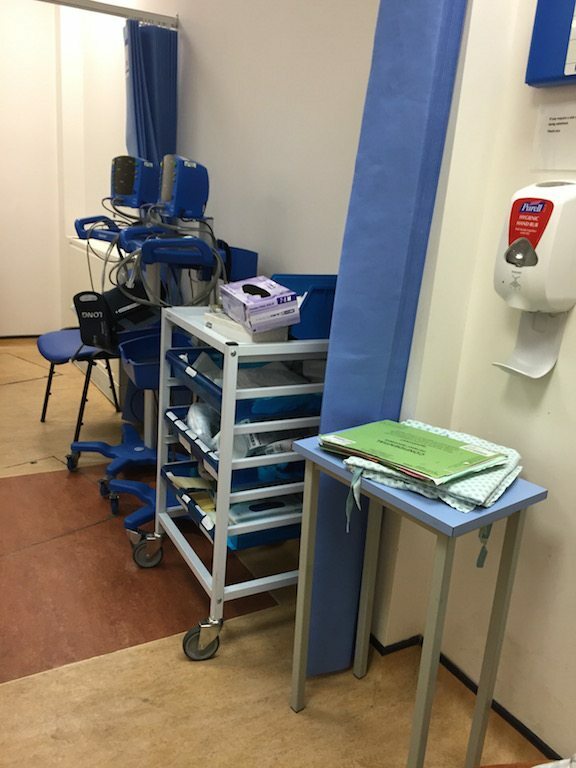 Immediately post-op – local anaesthetic helping to get it rather straight ? So an hour later, post-op meds in the bag, and its home for 2 weeks of rest and good food to speed the bone filling in!